You are here: Home / Finished Projects / Quilts for my Nephews! 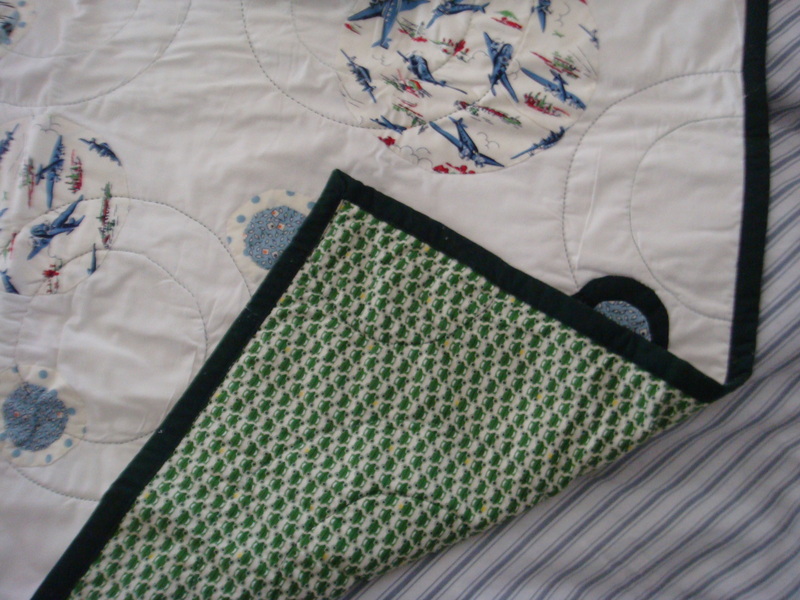 Remember the first quilt that I made? 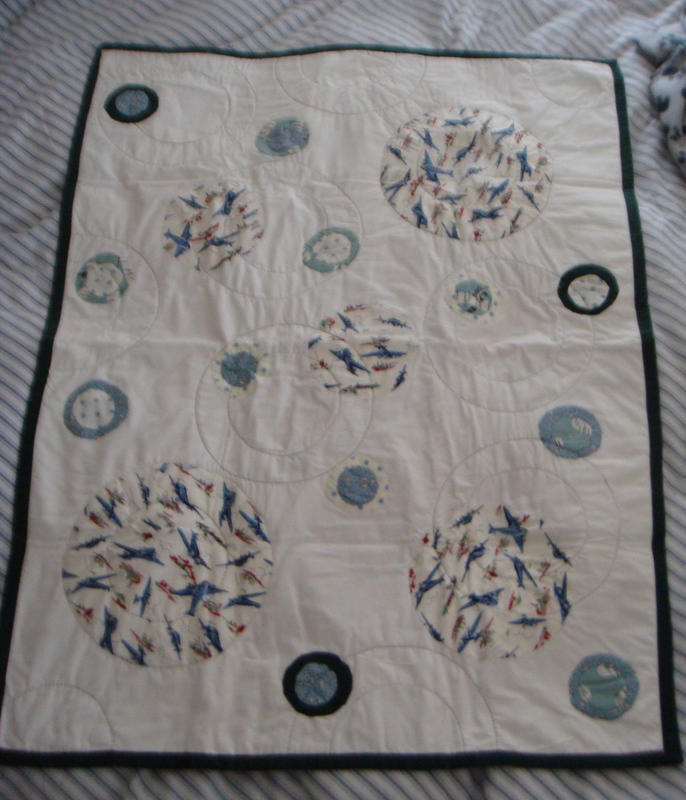 I made a quilt for my baby nephew Hugo about four months ago. 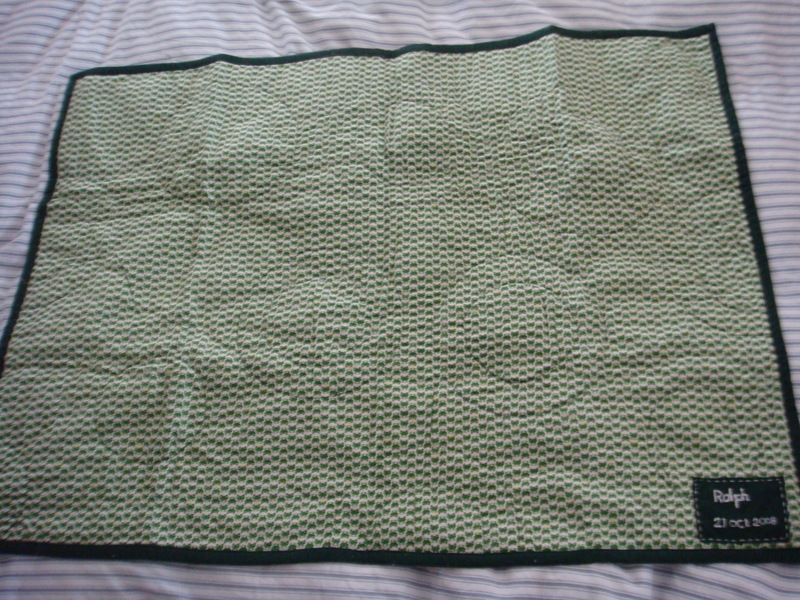 And I’ve only finally got round to making up the second quilt for Ralphie, the older nephew. Just as well because my sister has come home with the boys to celebrate their birthdays and I can give the quilts to them as birthday presents! 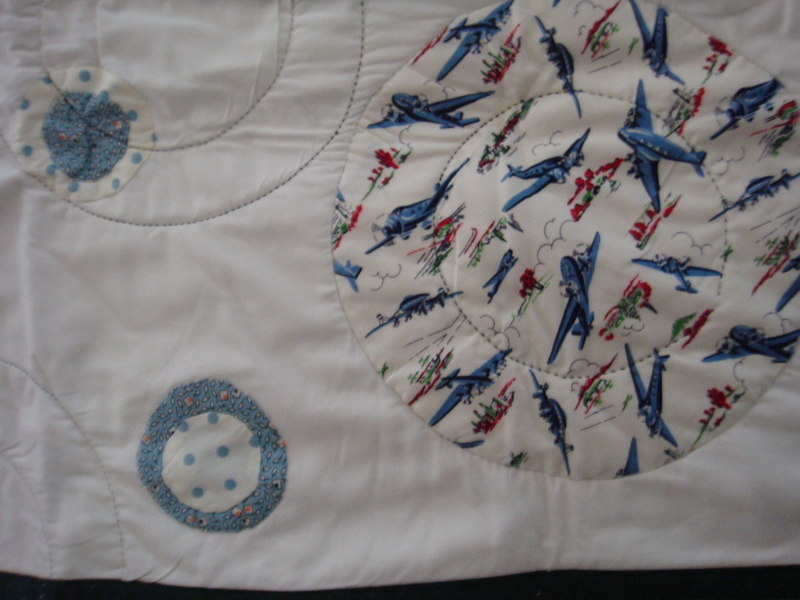 The second quilt is exactly the same design but different fabrics. The top quilt features more or less the same fabrics but the backing fabric is Japanese Kokka fabric featuring lots of green frogs! 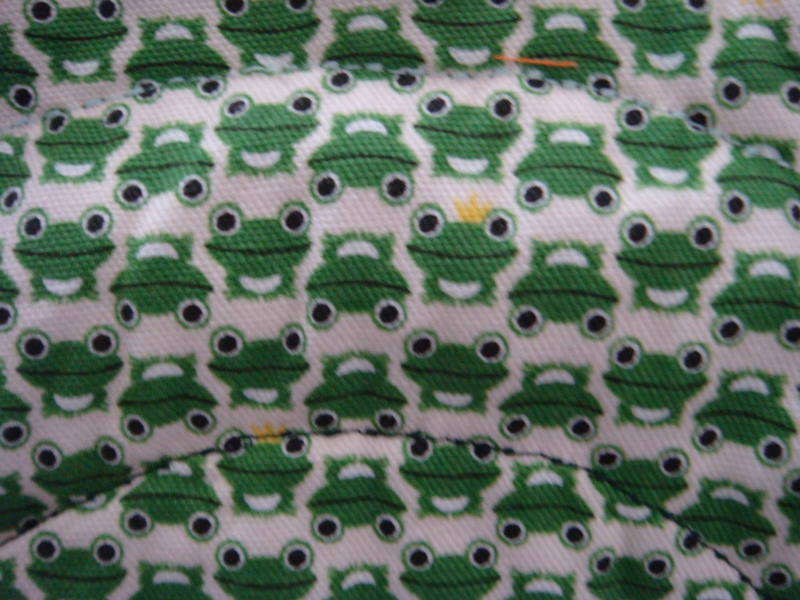 My little nephew Ralphie has a favourite bedtime toy which is a frog, so this fabric was perfect when I saw it! I’m really excited to give this to the boys and I hope they love it!